Additional Info: I have been playing and teaching professionally since before 1982. Most of my work has been in Jazz and Rock, though I teach all styles from classical to blues through jazz and rock. No trad folk, though. I have been fortunate enough to work with several amazing bands, including Gong, Elbow and Lamb, as well as my own jazz projects. 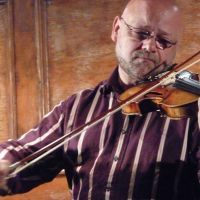 Currently I teach at Salford University, as well as working as a freelance violinist. I also enjoy working in free improvisation, and have released two CDs of my duo and trio improvisations.